Tracking volatility differences suggests that risk is increasing in the small cap world. While EM stocks have seen a fall in volatility, we are seeing small caps close the vol difference that has existed for the last year. The risk relative to the VIX index is also increasing. Relative risk differences are a good guide for what the market is thinking about sector uncertainty and risky sectors are seeing more uncertainty. Discretionary trading - is there value with talking to the CEO? The same advice applies to government officials. 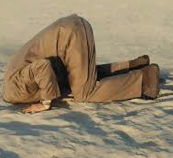 Of course, there will be a reaction to what a company president says and what a central bank official will say, but that will only be short-term. The real action will be with what is actually done. What are in the numbers. The focus on words leads to a whole set of behavioral biases. There is a confirmation bias associated with listening to companies. There is a false sense of confidence from having words with the CEO. What happens if the CEO is a good presenter or a poor presenter? CEO's often get their jobs by being charming. Does it help the valuation decision? I don't think so. Assume you have a choice between data or the CEO conversation. There is no contest on what is more valuable. How can the talk be quantified or made into a repeateable decision process? It cannot work in a systematic fashion. If the expected rate or return or discount rate for a pension fund is 8%, you should ask what you need from equities to hit the target if you hold a 60/40 stock/bond mix and the current 10-year yield is 2.75 percent. The math is simple. For this year, you will need 11.5 percent from your equity portfolio. This does not seem like pleasant math. It only gets worse if the pension is underfunded and needs higher returns than the expected rate of return. If equity returns decrease, there has to be a gain from the bond portfolio with rates going down. The worst case scenario is a decline in both equities and bonds which could come if we transition to higher inflation or we do not get the bond hedge from a negative correlation between the two major asset classes. Many pensions understand this unpleasant math, so they have tried to adjust their portfolios to offset the poor value-added from the the bond allocation of their portfolio. The objective of moving to alternative investments is to counter the poor bond returns. This is the big pension bet that has caused all of the new flows. In this context, the alternative portfolio has to beat the current bond yield of 2.75 at similar volatility. This actually may not be hard to beat for many alternatives; however, you have to include the value of negative correlation from bonds. The hedging value of bonds was significant during the market downturn. Consequently, there is needed a higher return on the alternative portfolio given the hedge value is not as strong. This story also assumes that the alternative allocation addition is coming from bonds. If the allocation is also coming from equities, the alternative returns have to be higher to offset the expected higher returns from equities. In a perfect world, if the alternatives gave a expected return close to the expected overall rate of return, it would be a preferred asset. But, producing an 8 percent expected return is pushing the envelope for many hedge fund strategies. We are still in an unpleasant pension math world even when we have alternatives added to the portfolio. Gold fixing - is it still needed? 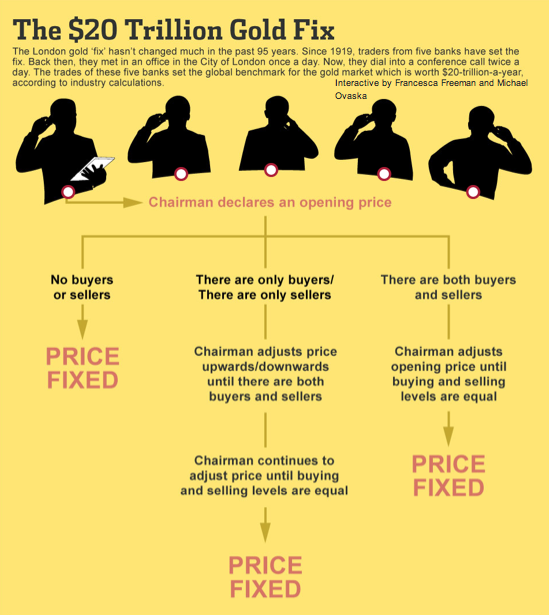 The FT discusses whether the gold market needs a new standard for fixing the price of gold. This is an interesting issue given the problems with fixing of LIBOR prices, the manipulation of FX rates on fixes. Some banks may say it is not worth being involved with the gold fix even though the process has been round for over a century. Ultimately this is an issue of market design which has become a hot topic in economics. (It has become a hot topic across all disciplines in business schools.) Market design issues are associated with how to generate a thick market where many are willing to participate but still have it be safe from manipulation. Having a group of banks bring their order books together and determine a price when the market will balance is going to provide some information advantage to the fixing banks, yet having a blind electronic order matching system at a set time may lead to some disruptive surprises. There is an issue of trying to find a balance. Having review and suggesting some alternatives will be good for the market. A recurring theme in value investing is that you have to be a market timer. You have to time when assets are cheap and buy. Now the timing the market as whole is difficult. Timing an individual asset or stock may be easier. It is all about the margin of safety. There should be a greater margin of safety with a single assets than a aggregation of assets. Everything associated with money management should be associated with finding and exploiting some measure of value. The definition of value may be unclear, but the focus is is clear. Buy cheap assets and that usually means when others do not want them. Perhaps best is to buy cheap assets that are starting to trend higher because then market sentiment is turning in value of the value investor. Volatility is not always bad. In fact a good manager should want to see volatility because it provides opportunities. There should be more differentiation across assets when there is higher volatility. When there is more volatility, investors get paid to gain information and make decisions. Systematic managers especially trend-followers should love volatility. Form volatility comes trends. When the market is more volatile, there will be a slower reaction by many investors which creates trends. Investors are not sure what to do, so they will delay any action or take any action at smaller size. 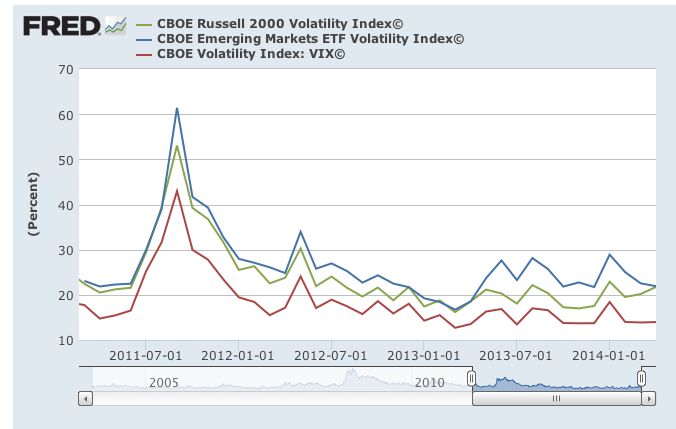 Of course, the risk always comes in the transition between volatility states. Moving from low volatility to high volatility means that investors will have to be paid to take on more risk. Prices should fall during this transition. Hence, holding a static portfolio may be a losing strategy during volatility transitions. Simply put bargains will never be available if everyone knows the true value of assets. It is when prices are fluctuating that investors are unsure of valuation. Athletes are paid for their agility. It is a quality that is not often referred to with money managers, yet it may be one of the key skills necessary for success. In fact, the current environment makes it very costly to be agile. Managers are expected to stay close to their benchmark. They are not allowed to provide style drift. If we are playing a game, the market wants everyone to stick to their position or their zone. There is no premium for those who venture beyond their assigned position. What does it mean to be a agile money manager and who should be one? Since there is a growing level of specialization with money managers, agility is viewed negatively, yet high returns or risk protection only comes when a manager changes his behavior when the environment changes. Changes to some is called style drift, but the macro investor or the pension endowment manager needs to show agility to do better. "Style" drift as defined as moving between asset classes actually is a good thing for the macro manager. The drift across asset classes is a key means for value-added. Even if strategic allocations are set, the drift across asset classes may be the only significant means for adding value. The skills of the agile manager are twofold, adaptability and and openness to new idea. Change is good. When asked why he so often changed his view, Keynes retorted, "When I face a new set of facts I change, what do you sir?" If the investment environment changes, a manager has to adapt to the change. If alpha is dynamic, then the manager has to find new sources of alpha and abandon the old strategies. An openness to new ideas means a willingness to think through the new fads that hit since. It does not mean every idea has to be tried. It only means they have to be explored. For example, the current rage is "smart beta". Does this make sense? The jury is still out on smart beta, but there are some clear lessons to be learned such as market capitalization indices have flaws. This is a good take-away regardless of whether you ever buy into a smart beta approach. Is agility measurable? This is hard to say since the forecasting skill of many managers is so poor. At the very least, the question of agility should be asked and a response should be offered. Whether a manager is agile or not should not be a secret. When markets do not follow rules and have a high degree of uncertainty and complexity, more rules are needed by the investment manager to navigate the system. Markets do not have rules, you need rules. This adage applies especially to risk management rules. In fact, the more uncertainty, the more risk management is necessary to protect against markets that do not follow rationality or any valuation models. Forecasting skill will decline if markets do not follow rules. Hence, there is a greater need for control of risks and the best method for risk controls is through imposing good behavior. This could be in the form of stop-losses, diversification, limits to drawdowns, leverage control, VaR modeling, or risk budgets. All will provide help when markets behave poorly. 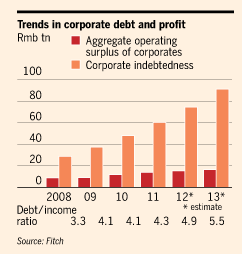 There should be a growing concern with the debt levels seen in the Chinese markets. See the latest post by Martin Wolf in the FT, although he believes a financial crisis is not likely. I would argue that it is less clear what will happen when you have a large high growth economy have a slowdown. In high growth environments, absolute lending can still be positive but the problem occurs when the rate of change slows. 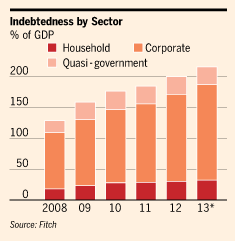 Debt growth is going to have to slow in China and this will mean a fall-out for some. All forms of debt but especially corporate debt is growing at levels that far exceed the levels of growth in the Chinese economy. Much of these has gone into real estate and heavy industry which may not be positive present value project. There is a question whether all of the debt is being used for projects that are efficient. While the recent growth number exceeded expectations this week, there has still been a slowdown in growth from the double digit levels over the last few years. 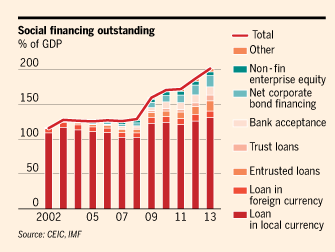 It may not take much of a slowdown in growth to cause the breakneck lending to start to lead to failures. If this was Europe, there would be a real concern. The issue is whether the Chinese economy or more specifically the government is ready for this likely event of a debt restructuring across the economy. The first corporate default was this year which has place a scare into some, but that has not stopped significantly loan growth. A controlled closed economy where capital cannot leave the system may provide some comfort, but the government may still have to enter the market and socialize the cost of poor corporate lending. Spending some time last week at the FX Week conference in Boston was well spent with some interesting speakers. One of the more interesting comments was that the US international finance position is like a hedge fund. The US is long equities around the world and finances with debt or borrowed money from around the globe. We have a fixed income liability and net equity surplus so the US in total has a risk-seeking portfolio. The capital account for the US actually generates a higher rate of return than other countries because most of the investments are in equities while the amount paid to foreigners in debt is at the Treasury rate. Positive surprises around the world are good for foreign currencies because it will cause more risk-taking by the US as hedge fund. Risk-off signals will lead to more dollar gains because risk is taken back from around the world. It is not the only story about the behavior of the dollar that may fit the facts, but it is an interesting spin on global finance. Income inequality - is it demographics with monetary policy? There is an issue with income inequality in the US. It has grown, but the real focus has to first be on why it exists. Only after quesiton has been answered can we determine how can it be solved. There has been too much rhetoric on the the fact that it has grown and that it has to be eliminated by taxing the rich. A closer look at some of the data suggest that demographics is a key issue for explaining why it exists and has increased as well as current monetary policy. In the case of demographics, some of the problem will go away through time. With respect to monetary policy, the Fed actually choose to increase or create a strong wealth enhancement in order to generate a wealth effect on income. The result of demographics and monetary policy is going to be a greater disparity between those who already have wealth and those who do not. The demographics at play with income inequality are significant. Following income theory, those who are middle-aged will have the highest level of wealth and income. They will then drawdown their wealth in retirement. Hence, the baby boomers as they reach or approach retirement will have a significant income advantage versus the young. As the baby boomers start to drawdown their wealth and retire, there should a closing of the income gap. The young relative to baby boomers will have a large income gap. Similarly, marriage demographics will have a significant impact on houshold income differences. Married couples will do better than singles.This gap will increase especially if married couples are both college educated and working. The two-income college educated household will have a significant advantage over others esepcially for those who have similar professions. The income differences will also increase if there are more small businesses which may show higher income, but do not have non-incme benefits. Income differences also leads to the economics of education. Those who have high skills in a skill-based economy are going to generate significantly more income. The income inequality of today is the result of educational policies of the past. The greater demand for skill based jobs will lead to greater income differences. Monetary policy can have an income difference effect. The Fed stated that one of their clear goals in the post-crisis period was to increase the value of financial assets to create a wealth effect. We have seen a significant boom in equities over the last five years. The impact of the inflating of financial assets is that those who had wealth going into the crisis have more of it now. Those who did not have wealth were disadvantaged. The hope by the Fed is that the creation of wealth will lead to a more robust economy that will translate into more income for everyone. If you take out the imapct of financial assets, income differences decline significantly. By that measure, the Fed policy of asset inflation has been a failure and has lead to greater income differences. It may not solve any problem if you generate an increase in wealth and then you tax the wealth so that it can be redistributed. There is a void in the international finance community, leadership. 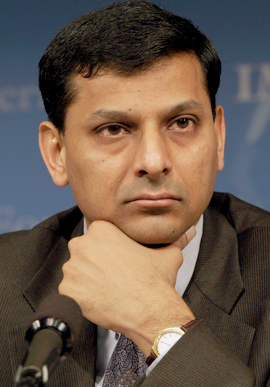 None is really coming from the US; however, Raghuram Rajan, the former University of Chicago economist and now the head of the central bank of India, seems to be taking up a key leadership or agenda setting role. However, if anyone is expected leadership that is consistent with US financial hegemony and the "Washington Consensus" you will have to think again. His argument against the current internation direction is very simple for the emerging market to understand and accept. It is hard to ask emerging market countries to hold their exchange rates stable when the Fed floods the market with liquidity that will potentially lead to destabilizing capital flows. Given the US is an open economy and the world reserve currency, the Fed lowering rates to zero will cause capital to seek other homes. Those homes may not be the US. Money will flow to countries that have higher real interest rates. Having higher real interest rates is easy when the Fed is driving real rates negative. Those capital inflows will drive up exchange rates and capital markets as herds of investors pile into countries that do not have deep liquid capital markets. Having foreign capital move into a country is not always bad. If there is a capital shortage and good investment opportunities, it leads to better development, but if there are not viable projects, the capital flows will cause local financial bubbles. Additionally, once the loose rate policies start to reverse, the money flow will start to come out of these countries and lead to currency depreciation and capital sector that sees a devastation. We had the QE boom and now we are ready for the taper bust. Rajan wold argue that the current policies of many EM countries should continue and is in their best interests. These policies are add odds with freely floating exchnage rates and open capital markets. Reduce current account deficits, keep exchange rates competitive, and build your foreign reserve war chest in case there is a "sudden stop". A policy that will keep EM currencies cheap means that the dollar will not decline and US exports will be thrive on cheap prices. What is clear is that EM markets have a well-regarded spokesman who is willing to take a view that is not consistent with the views of the Washington consensus. The future of power - hard or soft? 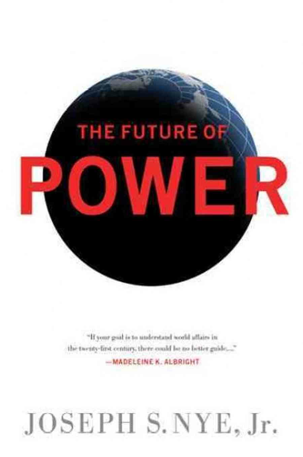 Finished reading The Future of Power by Joseph Nye who has been one of the leading proponents of "soft power". He has been one of the most influential thinkers on diplomacy over the last two decades. The direction of US diplomacy has been driven by his views on the type sof power that can be employed to influence international decisions. The thumbnail sketch of his book is that power can be divided into two types, hard which is associated with the use of military force to control or direction events, or soft which is the use persuasion to change views and agendas. A country in today's world cannot use hard power alone to control events. Power is too defuse and the use of hard power is expensive. The use of soft power can actually be more powerful because it can control communication and views. Soft power, if used correctly, can be much cheaper than the use of hard power since it could be just the use of ideas and pure diplomacy. The power comes from adjusting the adgenda and not having to use hard power. The idea of leading from behind would be a soft power concept. However, soft power may not be useful if there is not a clear identificaiton of goals and interests. Is America losing the soft power game? It has not been a good decade for the US. The soft power of economic heegmony has been hurt by the Great Recession. The US has not been able to push its agenda in a number of global areas even while we have cut our military adventures. This will all have ramifications in our ablility ot project economic power and control the financial agenda around the world. The US will lose its status as a safe economic haven if it does not project positive soft power. Nye makes all of these issues accessable to the average reader. if you wnat to know what is driving US diplomacy, this book will provide the answers. The rationale for global macro trading is based on Samuelson's Dictum which was first discussed by Robert Schiller. Markets are "micro efficient but macro inefficient". Markets work much better on relative pricing than for absolute pricing. We have a lot of information on relative pricing and arbitrage, but we do not have as much information on the absolute value of an asset or what should be its price through time. To paraphrase Larry Summers, we know a lot about the relative pricing of ketchup in different sized bottles but we may not be able to predict the absolute price of ketchup or tomatoes. For example, we have lots of information on the relative price between auto stocks or the price between a 5 and 10-year bond. We have less information on the value of GM through time or with the level of interest rates. There is more uncertainty in absolute pricing so this is where global macro traders make their money and differentiate themselves from their peers. The understanding of risk premium through time is the key issue. Because this is so difficult, macro traders will often mix in relative pricing strategies inot their funds, but the big returns are made on the absolute price effects. There is a lot to learn from other sciences on how to better conduct research in finance. 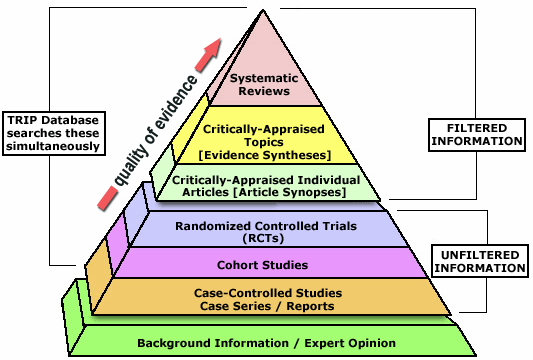 There should be be more formal use of the research pyramid shown above. One of the key methods used in medical sciences in evidence-based meta-analysis. Meta-analysis is the analysis of analysis. When a researcher explores multiple studies on the same subject to find patterns, he is conducting meta-analysis. The review of multiple testing of the same subject can be employed to provide better insights. When a finance researcher does a literature search on a topic such as the carry trade, he is conducting an evidence based analysis. When he compares all of the statistics, time periods, and methodologies used to generate the results from these studies, he would be doing the work meta-analysis without having to conduct the research from scratch. This may not be a substitute for the actual research but it provides clear direction on where to find good results. This may be one of the best ways to find new ideas and improve on existing decision-making. Finance is hard pressed to do controlled trials, but the research pyramid employed in other sciences can be a good framework to serve as a research foundation. 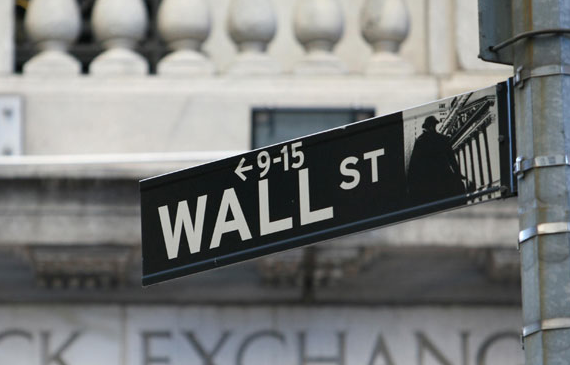 When Main street is calm, Wall Street takes risks. This is a simple extension of our money paradox and another variation on Minsky Moments. If risk and uncertainty is low, bankers have to go out and seek new opportunities which means taking on new business risk. Bankers cannot make a sizeable risk premium if businesses are stable and economic uncertainty is minimzed. It is not clear we are in a overall calm period, but a lot of traditional lending has not been risky. We have seen reports that subprime lending is back and at levles seen before the Great Recession. The consumer balance sheet have improved in aggregate but those who are borrowing need the money and are risky credits. The Paradox of Easy Money - the easier money or credit gets, the more likely there is going to be increasing credit risk! The easy money paradox is also associated with a Minsky Moment. When money is easy, anyone can get it. Standards for lending decline so the quality of a loan portfolio will decrease. A loan officer who holds the line and will not lend to lower credits will lose business and see loan growth go elsewhere. Even if loan standards are held by some, the overall economy could get riskier with this easier credit which makes all loans more risky. Monetary policy still has to focus on the bank credit channel. You can provide easy credit, but if there are no good project available, economic risks increase. Credit should be available but not easy. 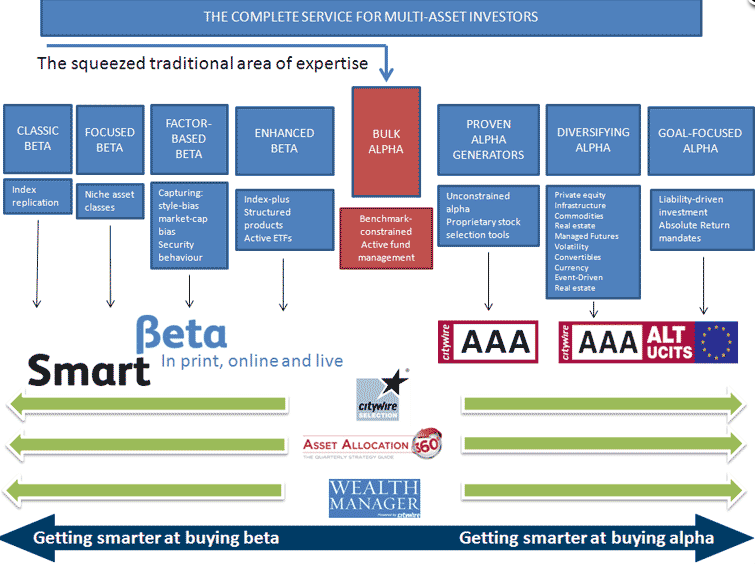 Everyone wants to have "smart beta", but it is not clear what is the agreed definition for this concept. One of the simplest definitions is using a different weighting mix than market capitalization. The standard benchmark used is a market capitalization index, so if you re-weight the index based on another risk factor you can have a different risk-return trade-off relative to the standard index. Is that smart or just different? You create a different beta and a different sensitivity to the market portfolio. The standard approach of market capitalization does have some drawbacks. It will overweight expensive stocks and underweight cheap stocks. It will see increasing weight to those stocks that have higher momentum. You are switching risk factors for what you may perceive as a long-term advantage, but as more money pours into these new standards, the value-added may actually disappear. Any risk premium is likely to be diminished as more money is committed. Additionally, if you tilt to factors other than market capitalization you are just changing exposure to the main 3-factor model of Fama-French. You may have more small cap effect or more value. Nevertheless, it is good to look at what has been going on in money management with respect to the concept of smart beta. 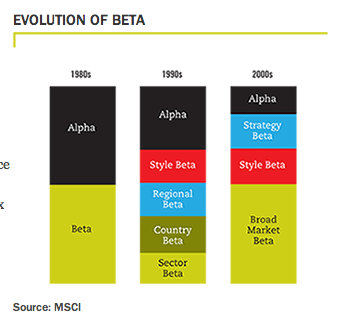 Clearly there has been an evolution of the concept of beta from a simple sensitivity to the market portfolio in the 80's to more complex concepts. We have moved from thinking of the world in just alpha beta space to a broader breakdown. 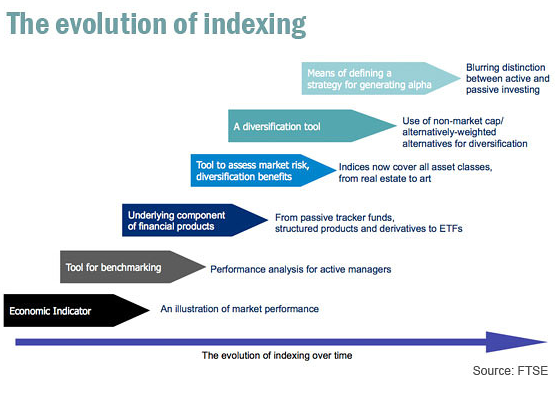 With the changing concept of beta has been an evoalution of indexing. There are wide range of indices which can provide smart beta or exposure to any market factor or asset class. 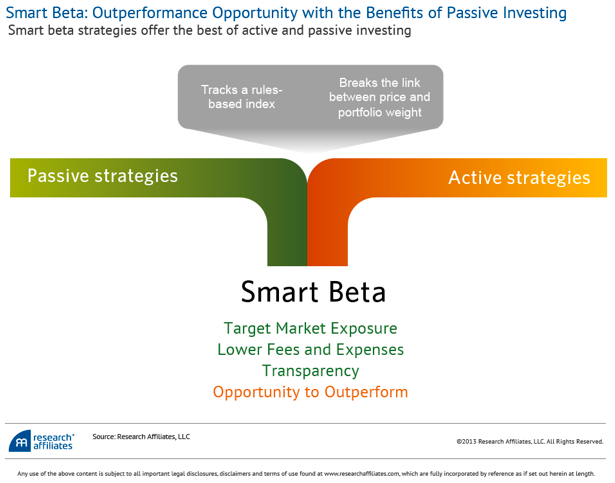 The smart beta concept is a combination of passive and active strategies within a structured set of rules. If you want a "passive" portfolio based on sales growth or size, it can be created. You just need a set of rules. This mixing of passive and active investing has blurred the services provided by money managers. The industry can breakdown different types of beta as well as different types of alpha. 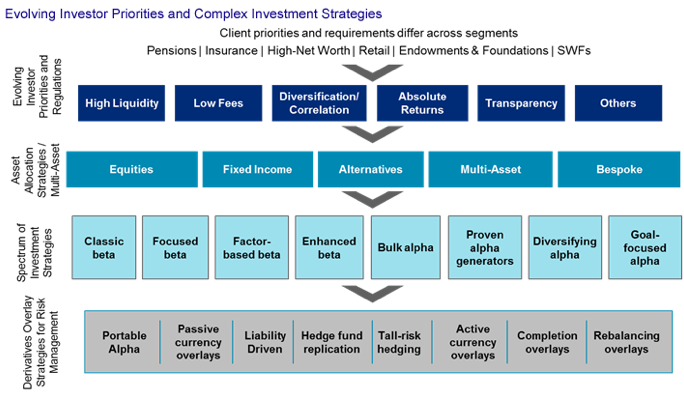 There may not be a clear definition of smart beta but the money management industry is adjusting to the fact that simple alpha and beta is not enough to satisfy investors who want cheap customization. The tailwinds seem to still be with equities given the dovish comments of the Fed. It s not clear what it will take for them to tighten policy. The magic unemployment number for Fed action has moved down by 1% from the what was thought to be the target of 6.5 percent. The rule is that investors should never fight the Fed. Using the wind analogy, we also have headwinds in the equity markets. The performance and valuation suggest that we are living close to market extremes. By itself, extremes may not suggest much. Rules and highs can be broken, but high valuation makes it more likely that any negative news will have a stronger market impact. My concern is the downside surprise. Expectations can change more quickly at the extremes. There is a brewing conflict between the G20, the US, and the IMF which clearly shows that international finance policy coordination is not going to be easy. There is a transition of power to the emerging markets and from the developed world as measured both by economic output and financial capital. At the heart of this controversy is the role of the US in global financial statecraft and policy-making. The US administration has agreed to change the voting structure for the IMF to give emerging markets more power and to allow for an increase in equity capital which will provide the IMF with more financial power. However, the US has not gotten Congressional approval, so it has not made good on its promises. The result is that G20 has warned the US that it should move ahead with the changes or it will have to take some alternative action. There is really very little the G20 can do, but generating this public display of displeasure is unusual and points to the changing landscape of global financial markets and policy coordination. It shows the growing power of emerging markets in both fiancnial and economic matters regardless of what the US may think. The tide is running against US financial hegemony. Found an interesting chart from the Big Picture (www.ritholtz.com) on the difference between dividend yields and bond yields for over 100 years. Notice the big difference between the first and second half of the graph. You got paid to hold equities during the first 85 years of history and then it was worth holding Treasuries at least when the rates were declining. Finally we are now at a period of equality between the two. This is a classic case of a chart that is interesting but perhaps not informative. Dividend yields during the early period were not taxed. Dividend yields post-2003 until recently had a strong tax advantage relative to yields on bond interest. The last forty years has been driven by the idea of stock buy-backs as a means of returning cash to investors not dividends. 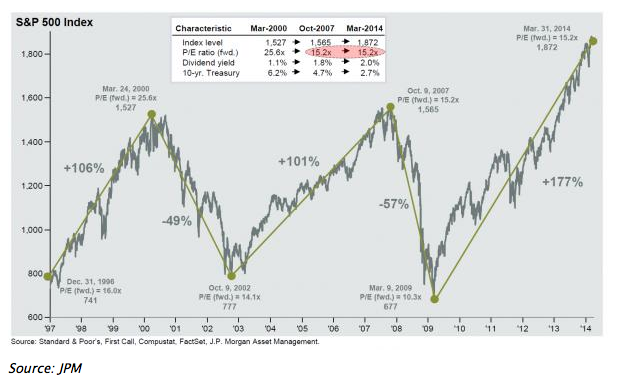 The chart also does not look at total return but only yields. So the dividend-yield story is much more complex than what can be shown in the chart, but the fact that Treasuries and dividend yields are approximately equal with similar volatility is an area of research worth exploring. IMF says no risks - so why not cut more QE? The fund’s World Economic Outlook now estimates only a 0.1 per cent probability of global recession in 2014, compared with a 6 per cent chance last October, with similarly reduced risks for 2015. from the FT earlier this week. So let's get this straight. The chance of a global recession is 1/10th of 1 percent but the Fed still thinks the economy is fragile and needs monetary help. Do these positions make sense? I don't think so. This is why the focus has to be on the evidence which seems to be mixed as we enter the second quarter. It is hard to believe that we have to push tightening into 2015 if you believe the IMF. If you believe the Fed, the IMF forecast is rubbish. The impact of government policies on commodity markets is significant and can never be ignored. The impact is so significant that it seems as though there are fewer competitive commodity markets given the overhang of potential government policies. A short-list of government actions and commodities includes just about every major market sector. In the just the last month, government have pushed markets because of their change in policies. China announced it will slash prices of cotton that will be sold from its state strategic reserve. Their stockpile has been building and the government is at the point that the inventory will have to decline to reduce the stockpile costs. The local price will now be more in-line with the world levels. The cut will have a a major impact on both the cotton and clothing market. China is the number one textile user, so they will not be strong buyers on the world market. Indonesia placed restrictions on the export of preprocessed nickel which has led to the highest prices in nine month for the metal. The government was not happy with the prices it was given so they changed the rules of the game. The potential threat to natural gas users from a pipeline disruption because of Russia is still a real concern. In this case, logistical disruptions can lead to a structural change in the market. Competitive markets are often in the imagination of traders. We have not heard much talk in the news about risk-on/ risk-off days. There is a reason. There have just been fewer of them as measured by large move up or down days. 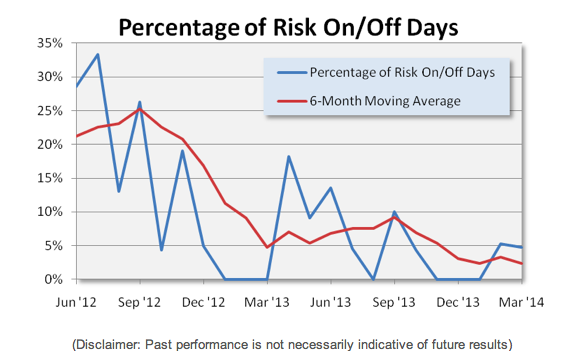 Attain Capital provided a review of the number of risk-on/risk-off days versus all other days for the last year. The numbers tell a story of calmness in markets. Volatility has been reaching low levels across most asset classes. Is this good or bad? Less big move days suggests there are fewer large swings in market opinion. There has been less surprise information in the market. It could be we have had less large swings in the underlying macroeconomic data that drive markets. It could mean everyone is agreeing on how markets should behave at this time. In all cases, this calmness is unlikely to last. I am not being contrary just for the sake of being different, but rather because markets are usually driven by differences of opinion and surprise and we should expect more. This increase in big moves will be good for futures trading nd offer more opportunities for profit and for risk. A recent article in the American Economic Journal: Macroeconomics by Suffi and Trebbi called "Resolving Debt Overhang" discusses the impact of debt overhang after a crisis. Their argument and data suggests that politics get polarized and fractured, so that there is little that will be done in the way debt reform. The size of the governing coalition shrinks and the new government post-crisis will be more fragmented. "Vote the bums out of office", but voters then cannot agree on what should be done next. There is more polarization given increases in income inequality, differences between debtors and creditors, and a general divisiveness across the electorate. The result is weak leadership when more leadership may be needed. Sounds just like the US over the last five years; however, they do not argue from the specific case of the US but shows how this is something that has occurred throughout history after crises. The government may not be able to form a mechanism for solving debt overhang issues. This means that after-effects from a crisis will last longer than a more modest shock. We could face slow growth for an extended period because debt restructuring cannot be solved and changes in fiscal policy may not be approved. Is there a solution? None are immediately apparent in a democracy. We can only observe and act on what history is telling us. So what is the normal real rate of interest? Most would argue that the real rate should equal the real rate of growth in the economy. Nominal rates should equal nominal growth. The real rate has been falling along with long-tern real growth rate. Long rates are close to zero and short-rates are negative. 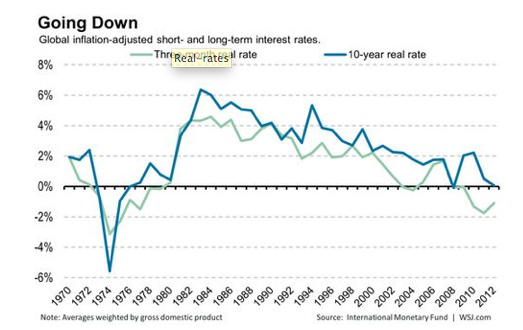 There are a number of implications if we believe this long-run relationship between real rates and growth holds. First, if real growth is going to continue to be slower then the likelihood of a strong upsurge in real rates is low. The threat of nominal rate surge at least from the real rate portion is overblown. Second, there is less control over the economy through the central bank when real and nominal rates are low. The Fed cannot push real rates down because they are at low levels. The zero bound problem limits their choices. They have to engineer inflation to get real rates to decline and fall below zero. If there is too much slack in the economy, it is very hard to get any inflation. Hence, we have no mechanism to increase growth from the monetary authority. The only way to solve the growth problem is through fiscal policy, and here we have gridlock. This story suggests that rates are going to be rangebound like Japan over the last two decades. Recent talk has been about the poor investment combination of a high valued stock market and low historical yields in bonds markets. There is no diversification protection for the investor who wants to hold the classic, (you guessed it), 60/40 stock bonds mix against this perfect storm. Protection will only occur because the sensitivities of these two asset classes to valuation and inflation are different. That should not make investors comfortable. There has been talk about the perfect storm for some time but with equities at new highs and bonds still underneath historical levels, the chance of the perfect storm occurring is more likely. The perfect storm is based on two premises, central banks have engineered an increase in equity markets to create a wealth effect and central banks want to have higher inflation. The first premise is related to the idea that the Fed is willing to accept bubbles in their efforts to stimulate aggregate demand. The second premise is based on the idea that the economy cannot go into a deflation or low inflation scenario and that growth will be enhanced if there was more inflation. If you got the central pulling for the perfect storm, it is more likely to occur. 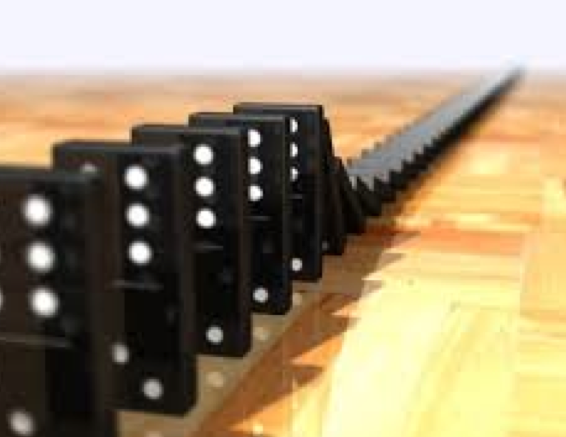 Central bankers believe they can control the storm before it gets out of control. An article by Morningstar called "Risk Parity's Year to Forget" focuses on the poor performance of all of the managers who embraced the risk parity technique. The managers, from Bridgewater, AQR, Putnam to Investco, all got killed with performance relative to a simple 60/40 stock bond allocation rule. (There we go again with simple 60/40 rule.) They got beat by the tactical allocation category by 500 + basis points in some cases. "All weather" can give you stormy weather when the low risk asset classes like bonds under-perform. Investors have to accept this difference in performance because a risk parity approach does not have a market view other than equal weights will do better in the long-run. So what is going on with risk parity? 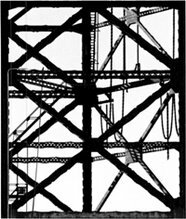 The idea of a risk parity model which looks to equally weight risk across even the simplest case of stocks and bonds will hold a big allocation to bonds, the less risky asset. This overall risk can be targeted to a level, but a 50/50 risk allocation between stocks and bonds will result in much more dollar bond exposure. Under a normal 60/40 stock mix, stocks will actually represent close to 90 percent of the risk. If bonds under-perform stocks, the risk parity approach will significantly under-perform more conventional approaches. My take-away is that an emphasis on risk equality or more precisely budgeting still has to think about the relative performance of assets. This emphasis on performance is all the more important if the approach is non-traditional. Some would argue that having a view on returns is at odds with the very approach of risk parity. I would disagree once you think in terms of a risk budget and not risk equality. You should have a view that risk should be equalized under a informationless view of the world, but if an investor has a view on returns, it would seem natural to tilt the risk exposures. Hold more risk in the asset that will perform better. Some of this relative performance is inherent in the classic 60/40 stock bonds mix. If you believe there is a long-term positive equity risk premium over bonds, then holding more stocks would seem to be a natural long-term allocation. If you believe risk premiums across asset classes are different, a risk budget could be an effective allocation scheme, but risk equality may generate periods of modest returns if lower risk (high allocation) asset classes perform poorly. This is good news for all of the customers of MF Global although it did not have to end this way. It could have been solved much sooner and easier if the CFTC followed their rules on segregated funds and not let the SEC handle the issue. The money was available for an orderly transition. The full distribution story certainly suggests this scenario. The result has been more regulation of money managers, (CTA's), who were not the problem and a clear loss of confidence in FCM's. Which client is going to leave excess funds in their margin account? This actually makes the overall financial system riskier, and we still have not seen the management of MF Global may any significant penalty. Forget about inflation as a problem. Central banks have not been able to create any in developed countries. Forget about deflation, it seems we can control the downward extreme through driving real rates to negative levels. The big fear is LOWFLATION. This is the new word that seems to be coming out of the IMF. See its recent blog post. Lowflation is that in between area of under 1 percent inflation and but still positive. With lowflation you get low level pain. 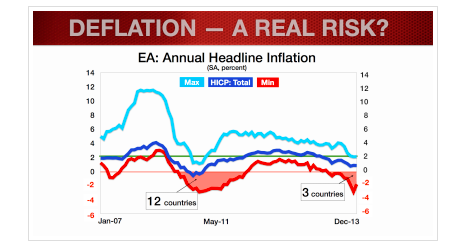 In fact, you get the same problems as deflation but at a lower level which is likely to last longer. The problems with lowflation are two fold. In the rates market, low inflation means that with a zero bound you cannot get strong negative real rates. The negative real rates are used to jump start investments. A lowflation will also mean that real wages will stay the same which has a negative impact on employemtn growth. Nominal wages are sticky so inflation in needed to push down real wages. In the case of Europe, you cannot get the periphery countries in the EU to see greater employment growth without local inflation and falling real wages. It is just another sign that the current policy mix is not working. Central banks have to try something else. Margaret Thatcher famously commented on the European welfare state spending, “The problem with socialism is that eventually you run out of other people´s money” to spend. This is just a great quote as we head into the last two weeks before tax day. The high debt issues in the developed world have not gone away and the forecasts associated with the Reinhart and Rogoff debt overhang hypothesis are holding true. Slow growth is going to be with us because the costs of past consumption is still with us.